MIXED Ostrich Eggs - Decoupage. 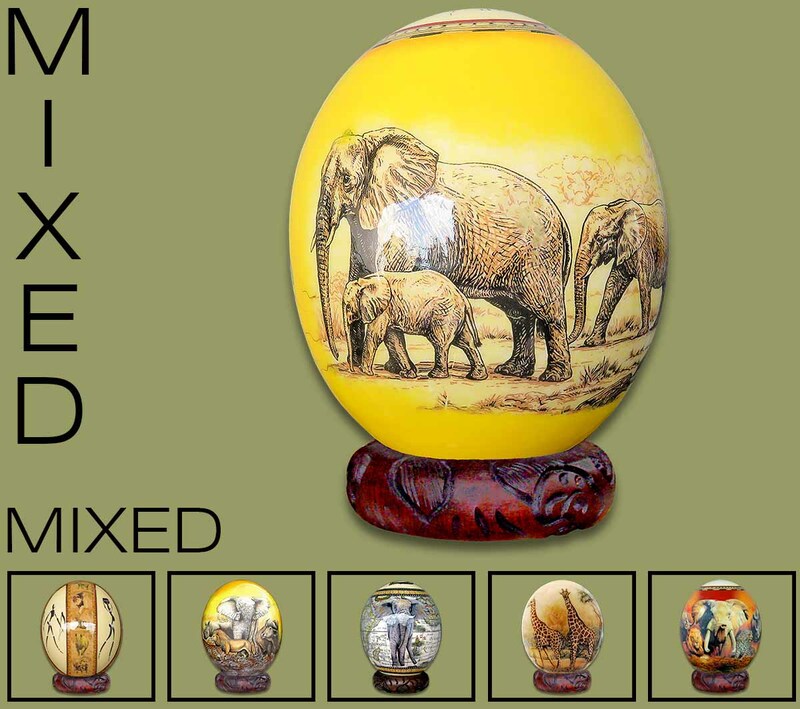 If you order this option you will receive a wide range of different Ostrich Eggs SIMILAR BUT NOT LIMITED TO the images shown in this category. Designs will all be of an AFRICAN THEME with various animals, BIG FIVE, Africa map, Bushman, Village scenes etc. Does not include the Ostrich Egg Stand - please order the stand separately below. PRICE PER ONE UNIT ONLY. MIXED OSTRICH EGG ARE SOLD AT A REDUCED PRICE.